Here are the Active MLS listings of homes for sale in Garlic Creek. Call Jim at 512.913.1557 if you have a question or want to see a home. Neighborhood Location: Garlic Creek is located just south of FM-967 between Buda to the east and the intersection with FM-1626 on the west. The table below gives a eight-year overview of Garlic Creek real estate market activity. Garlic Creek real estate market data is from the Austin Board of Realtors 1/1/2011-12/31/2018. 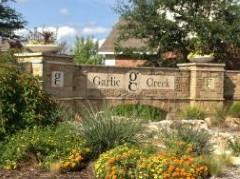 Garlic Creek is now a resale home community located south of Austin and just west of Downtown Buda. The buildout of the neighborhood was completed by Meritage Homes in 2016. 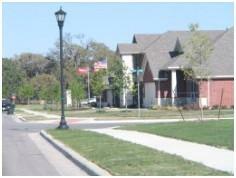 The subdivision has around 850 homes. Sales of homes in Garlic Creek began in 2007. In late 2011, Mercedes Homes finished its work in Garlic Creek. Centex Homes completed its work there in 2014. Garlic Creek features a very nice community center, the Garlic Creek House. Membership in the Garlic Creek Homeowners Association is required. 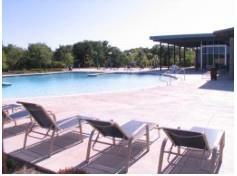 The amenities for Garlic Creek residents include an outdoor picnic pavilion with fireplace, swimming pool, basketball court, playscape for children, exercise room and meeting room. Students living in Garlic Creek learn the 3 R's in schools operated by the Hays Consolidated Independent School District. Parents or potential homebuyers should verify current school assignments with Hays CISD, since they change from time to time.